A filtration model with the generalized Darcy’s law making allowance for nonlocal and nonlinear effects has been developed. The expression for the law was derived within the relaxation formalizm of nonequilibrium thermodynamics. The developed model is applied to analyze the influence of relaxation effects on the phase velocity of small wave-like perturbations. The character of nonlinear traveling waves is determined. The properties of polynomial and self-similar solutions are analyzed. V.N. Nikolaevskii, K.S. Basniev, A.T. Gorbunov, G.A. Zotov. Mechanics of Saturated Porous Media (Nedra, 1970) (in Russian). Yu.P. Zheltov. Mechanics of Oil-Gas-Bearing Stratum (Nedra, 1975) (in Russian). M.G. Alishaev. Modeling and Calculation in Applied Mechanics and Oil Production (ALEF,2015) (in Russian). G.I. Barenblatt, V.M. Entov, V.M. Ryzhik. The Motion of Liquids and Gases in Natural Strata (Nedra, 1984) (in Russian). M.M. Khasanov, G. T. Bulgakova. 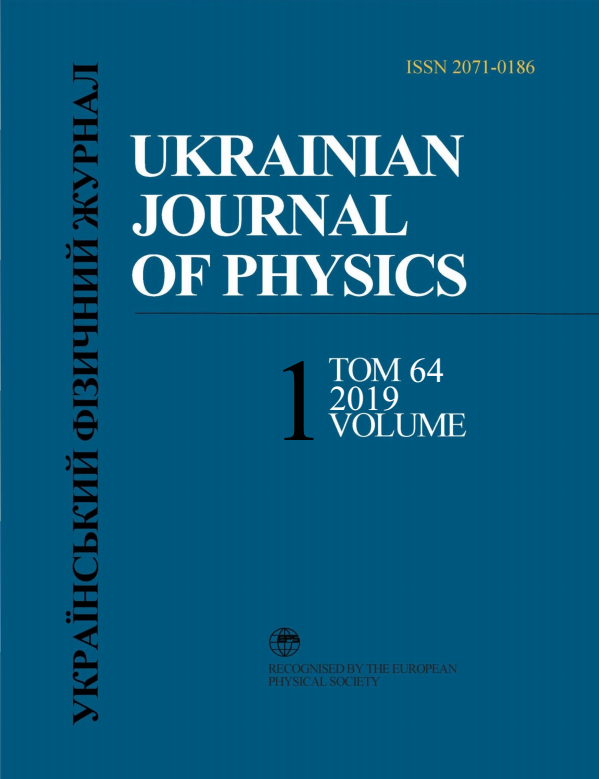 Nonlinear and Nonequilibrium Effects in Rheologically Complex Media (Institute of Computer Sciences, Moscow-Izhevsk, 2003) (in Russian). C.H. Brinkman. A calculation of the viscous force exerted by a flowing fluid on a dense swarm of particles. Appl. Sci. Res. A1, 27 (1947). M.G. Alishaev, A.Kh. Mirzadzhanzade. To account of delay phenomena in filtration theory. Izv. Vyssh. Ucheb. Zaved. Neft Gas. 6, 71 (1975) (in Russian). V.A. Danylenko, T.B. Danevych, O.S. Makarenko et al., Self-Organization in Nonlocal Non-Equilibrium Media (Inst. of Geophysics, Kyiv, 2011). O.S. Makarenko. Model equations and formation of structures in media with memory. Ukr. Fiz. Zh. 57, 408 (2012). B.A. Suleimanov. Specific Features of Filtration in Heterogeneous Systems (Institute of Computer Sciences, Moscow-Izhevsk, 2006) (in Russian). Yu.A. Buevich, G.P. Yasnikov. Relaxation methods in transfer process studies. Inzh. Fiz. Zh. 44, 489 (1983) (in Russian). A. Cemal Eringen. Nonlocal Continuum Field Theories (Springer, 2002). N.N. Bautin, E.A. Leontovich, Methods and Techniques for Qualitative Study of Dynamical Systems on the Plane (Nauka, 1990) (in Russian). V.I. Lagno, S.V. Spichak, V.I. Stognii. Symmetry Analysis of Evolution Equations (Institute of Computer Sciences, Moscow-Izhevsk, 2004) (in Russian).